Embark on an Alaskan adventure with the help of an experienced guide or charter trip to take you fishing, heli-skiing, sightseeing and more. Our hotel is just steps from major tour departure points. Marvel at the best views in town from our onsite Roma Italian Kitchen and Wheelhouse Lounge, where you’ll get fantastic cuisine, distinctive cocktails and great service. Located on the picturesque waterfront of Valdez Harbor, the Best Western Valdez Harbor Inn offers superior Valdez hotel accommodations with a wide range of onsite amenities and services. For whatever brings you to Alaska, our hotel helps you make the most of your stay. 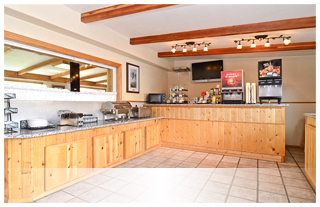 When it comes to location and amenities, no other Valdez hotels can match the Best Western Valdez Harbor Inn. In every one of our spacious, modern hotel rooms, you’ll enjoy high-definition cable TV, premium pillow-top beds, high thread count linens, free high-speed Wi-Fi, fridge, microwave and more. Choose from options like an in-room whirlpool, harbor views and more. From hiking to heli-skiing, Valdez is your destination for adventure tourism and sightseeing in Alaska. Stay at the Best Western Valdez Harbor Inn and you’ll find yourself just steps from dozens of tours and charters to guide you in experiencing the best of what Alaska has to offer. With so many fun things to do, your only difficulty will be deciding where to start! Our hotel’s picturesque waterfront location offers spectacular views of the Valdez harbor and the surrounding mountains and glaciers. At our acclaimed onsite restaurant and onsite lounge, you can marvel at these views while enjoying fantastic cuisine and cocktails. © 2002 – Best Western International, Inc. All rights reserved.